The smash comedy hit of the London and Broadway stages, this much revived classic from the playwright of Private Lives offers up fussy and cantankerous novelist Charles Condomime who is remarried but haunted (literally) by the ghost of his late first wife, the clever and insistent Elvira, who is called up by by a visiting "happy medium", one Madame Arcati. Elvira truly raises spirits when she makes continual attempts to disrupt Charles' marriage to his second wife, Ruth, who can neither see or hear the ghost. 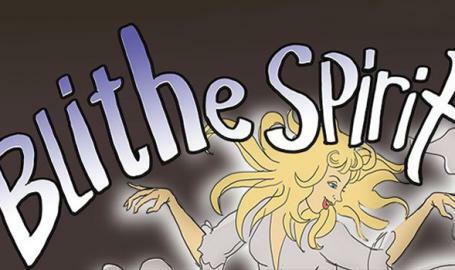 Memorial Opera House is delighted to present this hauntingly funny classic, one of the first plays presented here when the Community Theatre Guild was in residence!